One of the greatest blessings of Bradley Method husband-coached childbirth is experiencing the birth of a child from start to finish and being there for the entire thing. Women often have difficulty recalling some of the details of the birth experience because they are off in “Labor Land” and busy doing the exquisite work of bringing a child into the world. Even though it’s been over 3 months since the birth of our son the majority of the details of his birth are still very clear in my mind, etched as some of the most wonderful memories I’ll ever have. Many of these details are from my perspective so please don’t take that to mean I am the center of this story. My wife is and always will be the bravest, toughest, most determined person I know. Our son would not have had such a wonderful birth and start in life without her work. This is my version of the story of his entrance into our arms and into this world. Our son’s due date was November 14th, 2013. As knowledgeable parents-to-be, both my wife and I expected him to be born around the 21st or 22nd since the average length of pregnancy for new mothers is 41 weeks and 1 day. So needless to say we were both surprised when I woke up the morning of the 13th to my wife saying “I had contractions for about 3 hours last night”. Since they were intermittent and had slowed down we both decided it was best for me to go to work that day and see how things went. The work day passed without any more contractions so we went about our business that night. After dinner we finished watching the last 2 episodes of Season 3 of The Walking Dead (because that’s what we do) and prepared for bed. Little did we know our night was just beginning. Around 10:30pm that night the contractions returned, this time much stronger and faster. Lower back pain was the name of the game with contractions coming every 5-10 minutes or so. We spent about an hour walking around the house keeping an eye on the contraction times, but they were here to stay. Taking cues from our Bradley Method training we settled into bed and started some deep relaxation, focused breathing, and counter-pressure on her lower back. The contractions continued at a steady pace throughout the night, sometimes as close as 3-4 minutes apart with nearly 1 minute in length. Unable to really rest between contractions, this continued through to 5:30am on the 14th (his due date), so we called Malory, our doula, to get her up to speed. As dependable as always, she was at our house within 30 minutes along with Alyssa, her shadow doula. Still with very little rest, contractions continued intermittently as the sun rose on our son’s due date. Some were so strong that no amount of counter-pressure on her back could overcome them. I felt nearly useless but soldiered on, knowing full well that we were in this for the long haul. Our doula team helped keep us calm and helped guide us through the labor with birth ball and stair exercises, hot compresses, massages, and an unwavering confidence in our abilities. The contractions slowed down to an unpredictable pace around 10:30 that morning. At that point we thought it best that our doula team should leave us to try to rest and gather our strength for awhile. Having them leave was a little unsettling but I took great comfort in knowing they were just a phone call away. “Rest between contractions” is a great concept, but very difficult to execute in practice with fierce lower back pain and unpredictable timings. Based on the intensity of the back pain and several phone calls and text messages with Malory we were nearly convinced that our son was “sunny-side up” and was trying to turn. This called for several sessions of downright painful lunges, stair climbing, and pelvic rocking, accompanied by even stronger contractions. By 4:30pm we were staring into the void, nearly completely depleted of energy, confidence, and hope. Just when we needed it most, Malory returned to give us a boost in confidence, now with us having gone over 35 hours without good solid sleep and working over 18 hours in early labor. Our son must have picked up on that boost of confidence because, like clockwork, he kicked into active labor. Hard, consistent contractions over 60 seconds long and 4 minutes apart. My wife worked with her labor for 3 solid hours, trying everything from showers to massages to hot compresses. Around 7:30pm my wife, Malory, and I made a team call to load the car and head to the hospital. We left our home, now a war-torn disaster on all 3 floors from the greatest work of our lives. Arriving at the hospital, birth plan and medical records in hand, we were ecstatic at her progress, 5-6cm dilated! In my mind we had achieved our goal of laboring as long as possible at home and reducing the possibility of exceeding the hospital “time limit” for labor, which is a very real thing despite everything known about the Natural Alignment Plateau and the effects of stress and pressure on labor progression. But I digress. Our doula team met us in our Labor/Delivery/Recovery room and we got back to work. Strong contractions. HARD work. Showers, birth balls, lunges, counter-pressure with 2 fists and tennis balls, and constant reassurance that my wife could do this, that she was doing this. 4 hours of beautiful, wonderful work by my wife went very quickly, at least for me. Somehow we found the energy despite no sleep and very little food. Right around 12:30am the morning of the 15th, things shifted dramatically. After a particularly hard contraction on the LDR room floor, Malory suggested we consider moving back to the bed because it looked like my wife was “looking pushy”. A quick check showed over 9cm dilation – we were almost there!!! 12:45am. Fully dilated and complete, my wife began the process of pushing when her body felt the urge and to the point of comfort, just like Bradley class had taught us. Starting from a squatting position on the bed with the help of a squat bar, she pushed a few times to establish a rhythm. We then moved to a nearly upright and optimized lithotomic position with 1 key difference – my wife braced her legs on the posts of the squat bar for leverage. Brilliant. A few pushes were really effective and my son was almost there! At this point we had an entire birth team around us – a few nurses, our midwife, the OB on call, and a few resident students who had never seen a natural birth(!). The birth team was monitoring our son’s heart rate between pushes and an alarming trend quickly rose up – his heart rate was decelerating during pushes and not recovering as fast or as high with each push. Even with an oxygen mask on my wife to boost him up, something had to change. Breaking the water at this point (yes, her water was still intact this far into labor!) didn’t help. The OB and our midwife consulted, and the OB stepped up to talk to us. Our son had his hand trapped against the side of his head with his umbilical cord pinched around it. Every push constricted the cord which reduced his flow of blood and oxygen, causing his heart rate to drop to alarmingly low levels. We had to act fast. True to our birth plan, the OB talked us through it. We had 2 choices – an emergency C-section, but his words were very reassuring, “I don’t think we need to do that”, or a delivery assisted by forceps. With a nod from me and a thumbs up from my wife, the team moved quickly into action. They set the foreceps, and with 2 strong pushes, my son entered the world at 1:18am on Friday, November 15th, 2013. 6 pounds, 10 ounces, and 19-1/2 inches long. As I wrote in a previous entry, one of the greatest moments of my life was gazing on our beautiful newborn son and announcing to my wife and the world, “It’s a boy!! !” We didn’t know his gender for the entire pregnancy as finding out on arrival is one of the few true surprises in life. High on adrenaline and love, I introduced myself to him by proclaiming “Welcome to the world!” as I cut his umbilical cord, severing the physical link through which my wife had nurtured him and fostered his growth for 40 weeks and 1 day. Within a matter of seconds he was placed right on my wife’s chest, eyes wide open and hungry, ready to continue changing our lives forever, now in the physical world. And boy was he ready. Awake and alert; healthy lungs that didn’t need suction; a whopping 9 on the APGAR score; immediate breastfeeding latch; a full head of luscious hair. A job well done, the birth team finished patching my wife up, packed up, and left us to bond as a family for 2 straight hours before it was time to go the nursery for clean-up and check-ups. My wife and I celebrated with the customary Bradley nightcap of cold fresh orange juice and stared at our son in an overwhelming outpouring of love as the rest of the world fell away. We had done it; we had achieved a completely natural, medication-free, husband-coached birth of our first child! Experiencing and participating in the birth of our son remains the greatest achievement of my life to date. Truthfully I doubt anything will ever top it, though I am completely confident that the birth of our next child will match it. Taking the Bradley Method journey was the cornerstone of this experience; without it these memories would not be as vivid now, nor would I be able to say with overflowing pride that I helped bring him into the world. Typing those words even now give me a chill down my spine. Exhausting, overwhelming, frightening, and enlightening all at the same time, I am a changed man from all this. I know we did absolutely everything we could to give our son the best possible start in life, and yes, we made it. As with anything in life, this would not have been possible without a lot of supportive people. I could go on for days with sincere thanks for everyone involved, but I want to mention a select few here for their profound impact. Please know there are so many more people not listed that supported us in huge ways throughout our entire pregnancy; your contributions are just as important and certainly not forgotten. This goes without saying, but my wife is the strongest, most determined, most courageous, most loving and caring person I know. She did all the research and homework on the Bradley Method and natural birth and rocked an awesome pregnancy and birth. No amount of words could ever describe the epic effort she put forth or how truly grateful and lucky I am to have her in my life. I love you, Whitney. It’s one thing to attend Bradley Classes. It’s another thing altogether to have a teacher who makes such a profound impression on our lives. Melissa is one of the most supportive, loving, and open-minded people I know. 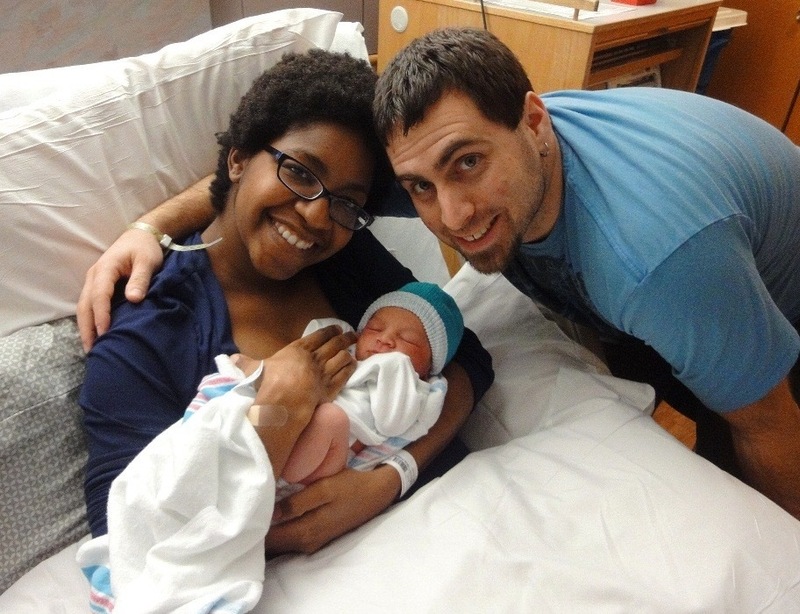 Her class and her birth stories provided the motivation and inspiration to commit to the Bradley Method and the path of hard work to give our son the best possible start in life. For agreeing to take us on as clients when we made the decision to switch from our OB-GYN to her at 38-1/2 weeks!! She fully supported our birth plan without batting an eye, instilling even more confidence in my wife that she could do this, that she was built to do this. Calm and cool in the delivery room, she was more than comfortable with a backseat role until her skills were medically required, which is the way it should be. Every single nurse, every single doctor, the OB on call, the residents, the nursery staff, the lactation consultants, the pediatricians on call, the room cleaning staff, the receptionists, the security guards, the valet parking attendants. Everyone was fully supportive of our birth plan and 100% committed to executing it as best as possible. A few days after the birth I went back through the plan and checked off what we had achieved. Astonishingly, we had achieved everything we had requested and hoped for. This would not have been possible without the right people in the right places at the right times. Lots of hospitals give you the grand tour, promise you everything will be exactly as you want it to be, and say they stand behind you. We toured all 3 hospitals in the area and were the most confident that UnityPoint Methodist could walk the walk. And they did, without question. Best in the business, hands down. Too many to list individually. Thank you all for being there for us every step of the way. We love you all. Today you are 3 months old and I am nearly speechless. The last month has gone by so quickly that I can’t help but wonder how we’re both able to handle all the forces from the rapid acceleration of time. From what I can tell, you’ve handled them amazingly well. You’ve grown physically and cognitively with a multi-layered personality that’s just starting to blossom. I’ve enjoyed every minute of this last month. The smile when you recognize me when I come home from work every day; our “conversations” where you have so much to say; the hand-eye coordination starting to come into focus; the look of security and safety when I wear you on my chest; the communication bond between us where you’re starting to tell me what you need and trust that I will provide it. Every day I discover more and more of who you are and who you will become. I see so much potential in your eyes, so much life and joy. My heart bursts with pride and excitement that you want to share that potential with me. Everything from singing songs, dancing to some of my favorite music, or even just our simple game of sticking tongues out. Every single moment like that just reinforces how much I love you and how grateful I am to be your father. And as if things couldn’t get any better, the next few months you’re due for an explosion of growth, activity, and personality. Even though there will eventually be tough times ahead I’m all smiles and excitement for our future together. You are everything I envisioned as the start of our family’s next generation. Keep growing. I’ll be right here the entire time. So I have to travel overseas for work in a few weeks. My job doesn’t normally involve a lot of travel (5% per year at best), but this trip is mission critical, which is why it came up so fast. Normally I’m excited for trips overseas, even to places where I’ve already been. I usually carve out a few hours for exploring because who knows when I’ll get back to places like England and Northern Ireland again. Travel and vacation was a big part of my childhood and adulthood so certainly I’d like to instill that same excitement in my son. But I am most definitely not excited for this trip. I haven’t traveled for work since my son was born. Hell, I haven’t traveled for work since my wife became pregnant with him! I’ve never slept away from him for a single night, never been away from him for longer than an 8ish-hour work day. He’s developed, changed, and grown up a little bit every single day. And I’m going to miss an entire week of it?!?!? Moreover, my wife has to be his caregiver 24/7 (plus or minus a few relatives) while I’m gone. Yikes! Technology is a wonderful thing as I plan to Skype with my wife and son every night. I couldn’t imagine being gone for what will seem like an eternity with no contact other than a phone call. He seems to change so fast that I’d come back from my trip to an entirely different person! I was lucky enough to schedule the trip so I don’t miss any appointments or our weekly Music Together class, a.k.a. Full-Of-Awesomeness class. I made those choices intentionally. If work is going to take me away from my family for a week I’d like it to be as much on my terms as possible. But I know it won’t always work out that way, which got me thinking about work/life balance and career limitations. I’ve had conversations with co-workers who were told in no uncertain terms that they wouldn’t make it to the next level because it required AIS time of at least 50 hours every week. Lots of jobs at that next level also require 20-25% travel. I’m rapidly approaching that level of potential based on my current job position and performance. My personal philosophy has always been “don’t gripe about how many hours I’m in the office as long as my work is getting done”, but I know not every manager and company sees it that way. Based on my co-worker’s experience my company (or at least my division) has already drawn their line in the sand. Based on me writing this blog post I think you know where I stand. This will undoubtedly cause some tough decisions at some point down the road. I don’t want to be the father that misses his son’s first words, first steps, sports games, recitals, or other general displays of child awesomeness because work got in the way. I know there are alternatives out there such as telecommuting, working from home, flex time, etc. Between VPN, IP phones, instant messenger, and email I am able to work in mostly real time with co-workers across the world right from my desk, so being confined to my cube always seemed inane anyway. But I digress. It is vitally important for me to be as involved in my children’s lives as they’ll let me be. Not only for them, but for me as well. I feel like I’m evolving and changing right along with him, developing new skills and insights into life on the fly. Who knew I had this much to say on a blog anyway?? Speaking of, enough of this. I’m about to close up shop for the day and go spend some quality time with my family.